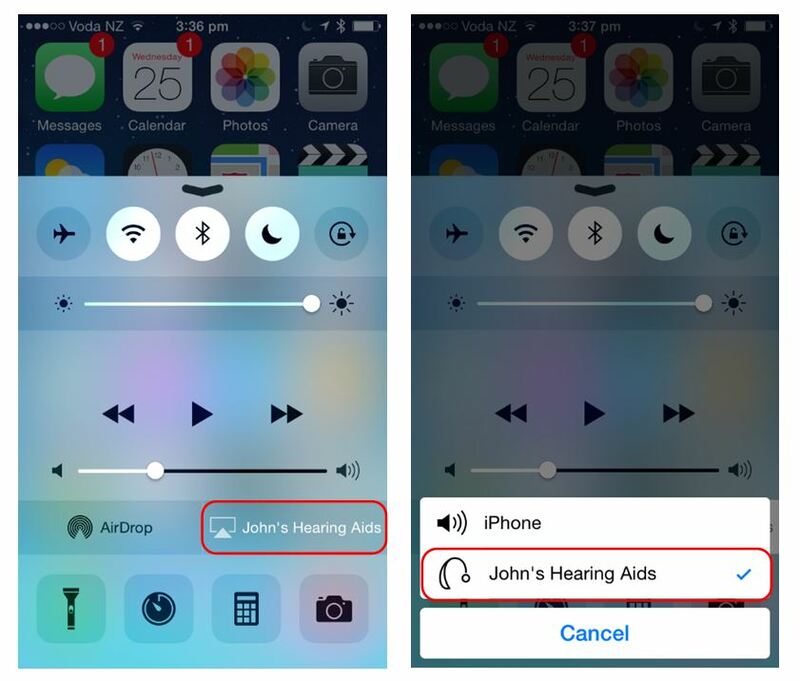 How do you disable Calls and Music on a MFi (Made for iPhone) hearing aid? Learn these four easy steps and pass on the tip to your customer. NB: We used the iPhone but the same procedure applies to compatible iPod and iPad's. STEP 1. Slide your finger from the bottom of the screen upward to bring up the screen below. STEP 2. Tap on User Name’s Hearing Aids at the bottom left corner of the screen. It will show the two modes: iPhone and User Name’s Hearing Aids. STEP 3. 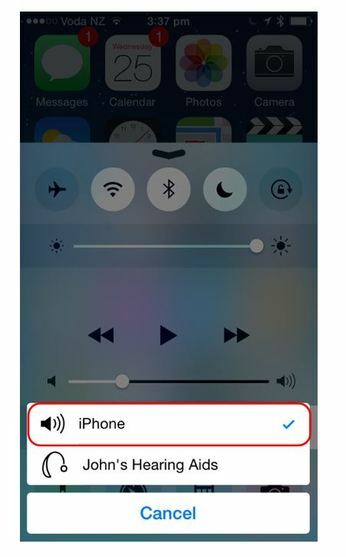 Select ”iPhone” to stream calls and music to the phone instead of streaming directly to the hearing aid. This switch only affects the stream destination. 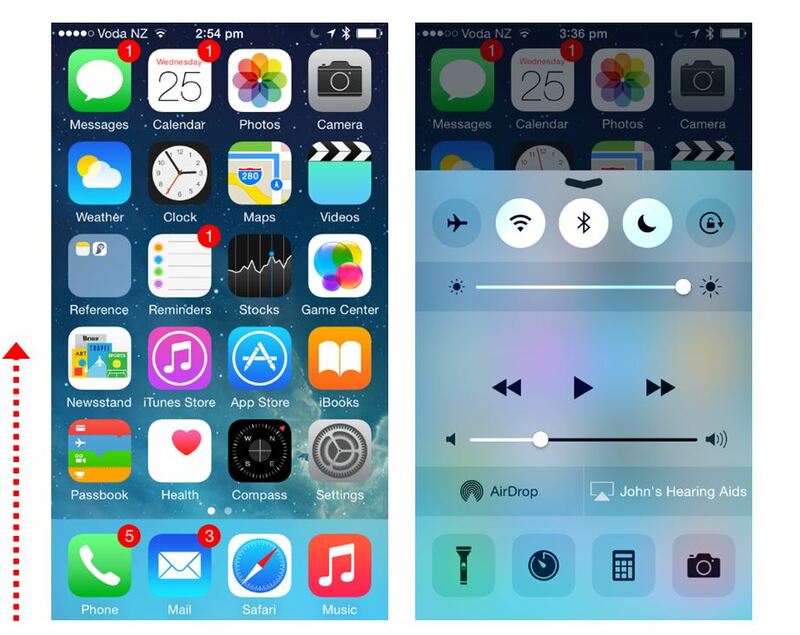 You will still be able to adjust the volume and change programs of the MFi hearing aids using the phone. STEP 4. 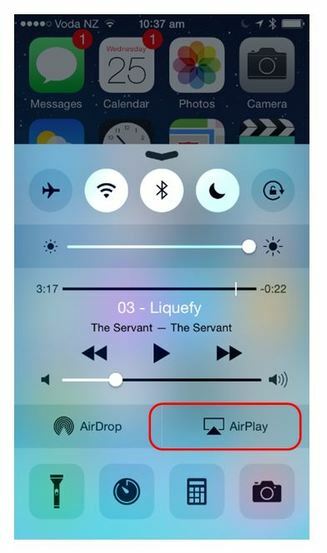 Once you have selected the ”iPhone” mode, the label will be changed to ”Airplay.” Simple.